Working with original scores is very important to my choreographic process. For me creating a performance experience entails careful attention to all details outside the choreography; the music, the sets, the lighting, and the costumes. Here are the bios of the wonderful artists I was able to work with. And of course the incredible dancers that brought the choreography to life. Quentin Chiappetta enjoys an unusually broad career as a composer, sound designer, mixer and recording engineer. He received his formal training at the Eastman School of Music where he received a bachelor’s degree in composition. After moving to New York, Quentin quickly established himself as an innovative and versatile creative partner for a wide variety of artistic endeavors, from nationally syndicated television shows to musical works accompanying theatre and modern dance performances to a growing roster of independent films and documentaries. In the Theatre world, Quentin has been nominated for the Drama Desk award for his sound work on 2012’s The Navigator. He was also nominated for a Lucille Lortelaward for his work on the Broadway production of Irena’s Vow. He is also the recipient of two Innovative Theater Awards—one for music, one for sound design—for Dan Gordon’s off-Broadway drama, Murder in the First. He has written music and designed sound for plays by writers such as Joyce Carol Oates and David Drake and for companies such as the Director’s Company. His music and sound work has been heard on the Discovery Channel, Bravo, the Sundance Channel, public television stations across the nation, and all the major networks. Recent television projects include scores for the A&E channel’s popular reality shows The First 48 and Detroit SWAT; the Discovery/Times’ Decoding Disaster, for which he created the opening theme music; and the PBS documentaryHarold Weston: A Bigger Belief in Beauty, which is also part of the permanent collection of the Adirondack Museum in upstate New York. In 2012 Quentin was commissioned to compose a score for The Museum of Natural History in NYC to accompany video installations by Kevin Burget and Ken Burns celebrating the life of Theodore Roosevelt. Quentin’s music and sound design have been heard in over 50 feature films at major film festivals, including Sundance, the Hamptons, Chicago, Toronto, Austin, South by Southwest, Silverdocs, Redbank, New Directors, Tribeca and Berlin. Recent accomplishments include the music, sound design and mix for Found In Time which won Best Feature at Shreikfest in Los Angeles in 2012 and the sound design and mix for 3 Backyards, which won the Best Director award at Sundance in 2010. He wrote the score, designed the sound, and prepared the final mix for Fall Before Paradise, a feature that was named Best Film at The Director’s View Film Festival. Quentin also wrote the score, created the soundscape, and prepared the final mix for Transit, a short that won the Audience Award in Provincetown, and was screened at over 50 festivals. His work has been heard at the Tribeca Film Festival in every season of the festival’s existence. A graduate with honours in trombone performance from the University of British Columbia, Vancouver, Cam also obtained a Masters of Music Degree from SUNY Purchase College, NY, in Studio Composition. His resume of trombone performance reflect professional experience in every imaginable genre of music. As a composer and arranger, Cam has written music for a wide variety of musical ensembles from jazz big band to classical chamber ensembles, as well as collaborating with many film makers, modern dance choreographers, and multi-media artists. Composition highlights include original film scores composed for the US National Park Service, a New York State Council on the Arts composer commissioning award for “The Rodin Suite” (a ballet written for for the ‘Ice Theatre of New York’, America’s first ice skating ensemble designated as a modern dance group,) and small jazz group and big band jazz compositions that have been heard on CBC’s Jazz Radio Canada. The score for Elizabeth Downer’s film “Home” has been heard across the USA on PBS TV and at many film festivals, including the American Indian Film Festival in San Francisco, CA, Telluride Film Festival, CO, and the NY Women in Film festival. Large multi-media works and collaborations include two large works for NYC choreographer JoAnna Mendl Shaw’s ‘Dancing With Horses’ ensemble, which are outdoor spectacles for dancers and equestrian riders. Music has been commissioned for the historic Wave Hill, NY, outdoor dance concert series by choreographer Heather Harrington. All together, he has composed over 25 works for modern dance choreographers, primarily from New York and Washington, DC. Large, multi-movement pieces include a suite composed for and performed in the Neuberger Museum Art Gallery in NY, as well as a multi-media suite with visuals and narrator based on the life and times of James Rumsey, the inventor of the first steamboat. SCOTT KILLIAN (Composer) has composed works for such major American companies as Alvin Ailey American Dance Theatre, Hubbard Street Dance-Chicago, Nikolais/Louis Dance, and the José Limón Dance Company. Zoom marks his 14th work with Zvi. Mr. Killian created over 20 works with long-time collaborators Danny Shapiro and Joanie Smith, as well as numerous works with Cherylyn Lavagnino, Johannes Wieland, and others. As a composer/sound designer for theatre, Mr. Killian has served as Resident Composer for the Berkshire Theatre Festival since 1997. Among the many other theatrical venues are the Manhattan Theatre Club, New York Theatre Workshop, Public Theater, Women’s Project, The Acting Company, Rattlestick Theatre, Shakespeare Theatre of Washington D.C., Shakespeare & Co., Seattle Rep, Alabama Shakespeare Festival, George Street Playhouse, Baltimore’s Center Stage, Boston’s Huntington Theatre, GEVA Theatre, Theatre Calgary and the Vancouver Playhouse. Music for film includes Witnessing, a documentary film which premiered at the Tribeca Film Festival and aired on MSNBC, the film Undetectable: the Changing Face of AIDS (premiered on PBS and the NOW Film Festival/NYC) and Swan Lake, Minnesota an award-winning video adaptation of the classic ballet produced by the A&E network in conjunction with PBS. Illya Azaroff is a registered architect, artist, and Director of Design at the Design Collective Studio, an experimental arts group that works across multiple disciplines. Illya’s cross-disciplinary design approach has given him opportunities to write and lecture extensively on collaborative processes and his work. He is currently assistant professor at CUNY-New York City College of Technology and adjunct faculty at SVA-School for Visual Arts, and has lectured at Pratt Institute, NYIT, and Penn State. His award-winning work has been shown in Austria, Germany, Korea, Puerto Rico, Spain, Uruguay, and throughout the United States. His critical essays and projects have been published in the New York Times, The Village Voice, and Oculus Magazine. Illya is honored to be serving as Vice President for Design Excellence at the AIA New York Chapter. He is a member of the advisory board for Fulcrum magazine and co-chairs the Exhibitions Committee at the Center for Architecture in New York City. Some of Mr. Azaroff’s earlier New York installations include collaborations with visual artist Piotr Uklanski at MoMA, Patricia Nanon, John Evans, Guta Hedewig, Mark Jarecke and most recently with Heather Harrington. Mr. Azaroff’s work has been written about in The New York Times, Village Voice, Dance Fax Magazine, Architext and appears in the book Living Large in Small Spaces. Greg Kessler graduated from Carnegie-Mellon University with a BFA in 1987 and an MFA from Yale University in 1990. Kessler had a solo shows at the George Billis Gallery in New York, Adair Margo in Texas, and the Cy Katzen Gallery in Washington, D.C. Kessler has had participated in group shows at American University, Columbia University, and the Open Real Foundation in Austria. Kessler has been a visiting lecturer at the New York Academy of Art, Massachusetts College of Art, and has taught at Columbia University. In 2009, Kessler curated a group show “Personal Mythology” at Gallery Korea in New York, and had one person exhibit at the Westbeth Gallery in NY. Kessler is curating a show in October 2011, titiled “Urban Mythos” in New York. Louden is known for her whimsical use of the line. Her paintings, drawings, animations, sculpture and installations are often centered around lines or linear abstractions and their implied or actual movement. Through her work she creates what she calls “anthropomorphic individuals”. Although abstract and formal, she feels they have human-like aspects within their minimal state, made of simple line and gesture. In reference to her minimalist paintings, Louden has been called “the Robert Ryman of the 21st century”. Novatny, an M.F.A. graduate of Yale University, speaks about the state of human isolation in his meticulously executed work. Jeff Daniel says, “These are nameless, mechanical people, all looking alike-but there is something very personable and touching here. Perhaps this stems from Novatny’s sense of whimsy, a playful sense of painting and design that mixes with a Kafka-esque mood of citizens trapped in a controlled world.” Novatny has exhibited in Germany, Los Angeles, San Francisco, New Orleans, Saint Louis, Seattle and Raleigh, NC. His work is in prestigious private and public collections and he is a recipient of the Basil Alkazzi Award in Painting. The artist has also exhibited at the Washington County Museum of Fine Arts and at the Albright Knox. He is in the permanent collections of the Daum Museum of Contemporary Art and the Washington County Museum of Fine Arts. Patti Gilstrap (Costume Designer & Puppet Creator) holds a BFA in dance and choreography from Virginia Commonwealth University. In 1996 and 1997 she attended the American Dance Festival on scholarship as the costume assistant. In 1997-1998 she toured for the Alvin Ailey Repertory Ensemble. She has designed costumes for many choreographers including: Sharon Kinney, Judith Steele, Incidents Physical Theater, Heather Harrington, Alan Danielson, Heidi Latsky, Teresa Wimmeer, Ali Kenner, Pat Cremins, Sue Bernhard, Dana Doggett and Chris Ferris. She has worked extensively with Treehouse Shakers designing costumes, headdresses, and puppet pieces for Hatched, Coyote’s Dance, Desert Travels, Let’s Talk About IT!,Under Covers and Lost Arroyos. Her designs can also be seen in Brooklyn at her three clothing boutiques,Flirt. Her new book with business partner, Seryn Potter, “Flirt Skirts: Learn How to Sew, Customize, and Style Your Very Own Skirts” was released in May 2011. She has also created two McCall Patterns, in stores now. Kathy Kaufmann (lighting designer) Ms. Kaufmann has been a resident designer at the Danspace Project at St. Marks Church for over 10 years. She received a “Bessie “(New York Dance and Performance Award) for her body of lighting design work in 2004 and for Yvonne Meier’s Stolen in 2009. She was also honored to be included in Curtain Call: Celebrating 100 Years of Women in Design at the New York Performing Arts Library and currently teaches lighting design at Sarah Lawrence College. Recent projects include designs for Sally Silvers, Joanna Kotze, Eiko & Koma, Vanessa Anspaugh, Cori Olinghouse, Jon Kinzel, Rebecca Stenn, Gina Gibney, and Michelle Dorrance. Jillian Hollis met Heidi Latsky at Point Park University where she graduated with a BA in dance. She recieved her early training from the Center of Ballet and Dance Arts in Syracuse, NY. Since moving to New York she has worked with Rocha Dance Theater, Take Dance, Carrie Ahern Dance, Joseph Mills, Heather Harrington, The Good to Go Girls and Lady Rizo. She performs in the Burlesque scene under her alter ego, Gigi Bonbon. Jillian is rehearsal director for Jenny Rocha and Her Painted Ladies, and has been described as “Blithley irrepressible” in the New York Times by Jennifer Dunning. She has been a member of Heidi Latsky Dance since 2002. 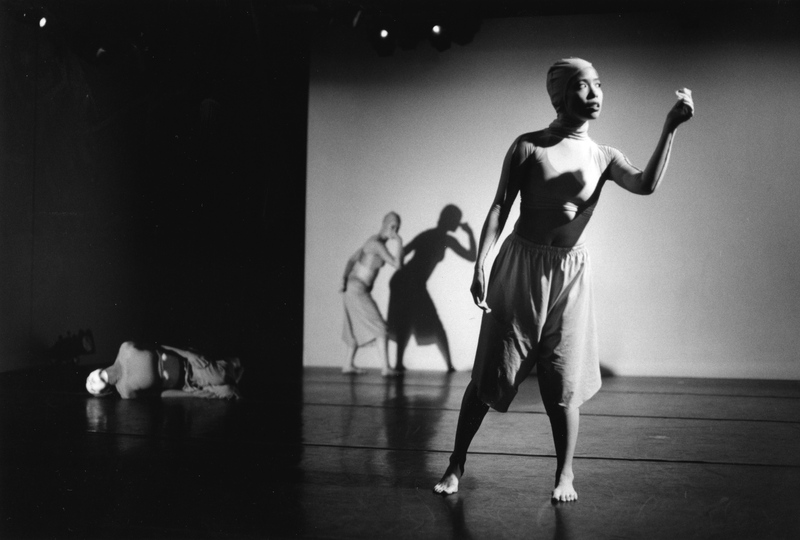 Jennifer Chin is a native New Yorker who has been an active member of the dance community for almost twenty years. As a freelance dance artist she has performed and taught throughout the United States, Italy, Canada, Mexico, Uruguay, Nicaragua and Finland with a variety of inspiring choreographers, including Alan Danielson, Kristin Jackson, Arthur Aviles, Michael Mao and Yin Mei. She received her BA from Queens College and her MFA from New York University’s Tisch School of the Arts. 2013 brought Jennifer to Arizona and Italy to teach, choreograph and perform new works. In 2011, Jennifer was sent to Nicaragua by the organization, I-Dance. Their mission is to create an “inspiration exchange” with Latin American communities. She taught and performed in Managua, Granada and Diriamba. In addition to modern dance Jennifer is an instructor in yoga, pilates, and embodied anatomy. She has been on faculty at Dance Space Center (now DNA) and Peridance in New York, Université du Québec á Montréal, and is presently on faculty at Montclair State University and The José Limón Institute. Eve Chalom is a professional figure skater, figure skating coach, modern dancer, and is a dance/movement therapist (R-DMT). Eve competed in two World championships in Ice Dancing. She then received degrees from the University of Michigan in English and Philosophy and a Master’s Degree in Dance/Movement Therapy from Pratt Institute. She is a member of several ice skating companies, including the Ice Theatre of New York based in New York City, and Ice Semble in Chicago. Eve has a particular interest in combining the fields of dance/movement therapy and figure skating to give competitive skaters and coaches new tools in order to make the sport safer and to improve performance and satisfaction. She has danced for Heather Harrington since 2006. Jessy Smith grew up dancing in woodsy Hudson, Ohio and went on to receive a BFA in Dance from NYU’s Tisch School of the Arts. Currently, she is performing the role of White Queen in Third Rail Project’s immersive dance theater experience Then She Fell. Jessy has also toured internationally with Eva Dean Dance, enthusing audiences with their athleticism and circus inspired themes. She is a founding member and choreographer for The Good to Go Girls. This bubbly trio of classically trained dancers performs vintage-inspired skits that toy with physical comedy and burlesque. The G2GG’s along with her sassy alter ego, Poppy Tart, entertain regularly on the NYC nightlife/variety scene. Alyssa Stith was born and raised in West Point, New York, and spent the majority of her formative years on the ice as a competitive figure skater. She began dancing in 1996 while touring with Living the Dream Theatre Company and earned her BA with Distinction in Dance from Ohio State University in 2000. Since then she has been striving to translate dance to ice while training and performing in both areas. She was a principal in Rory Flockhart’s Ebony on Ice/Soul Spectacular on Ice. Before 2005 Alyssa taught skating and dance for the Figure Skating in Harlem program. In May 2005, she received her Masters Degree in Fine Arts & Dance from New York University (NYU). Alyssa has been with Ice Theatre of New York since 2000 and even though she now lives in Denmark, she remains an important member of the Company. 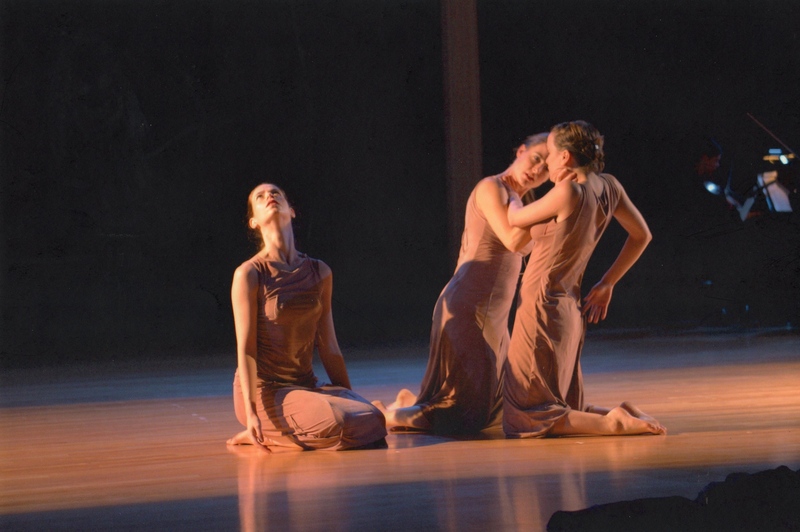 Heather Mims received her BFA in Dance from UNC-Greensboro, where she danced with the Jan Van Dyke Dance Group and the John Gamble Dance Theater. 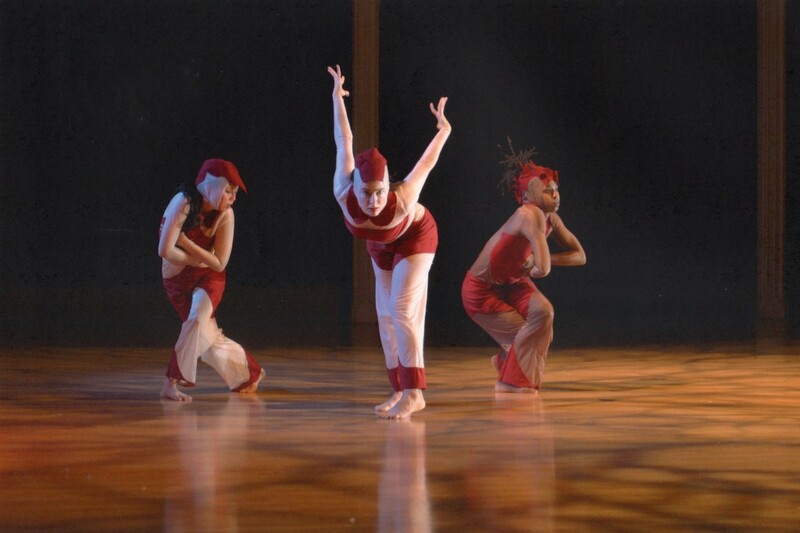 In 2003, she received her MFA in Choreography from the Ohio State University. Since moving to NYC, she has performed with choreographers such as Heather Harrington, Daniel Charon, and Vanessa Justice. She formed her own company, HMK Dance, in 2005 and is currently preparing for a concert of her work at the Brooklyn Arts Exchange Feb. 22-23, 2008. Jenna Hunt studied ballet with Claudia Mangan & at the Conservatory Ballet in Maryland, later graduating from University of North Carolina School of the Arts. Jenna has performed a broad array of concert dance/theater repertoire ranging from ballet to modern dance, including multi­media, improvisation and site­-specific work. Jenna’s onstage presence was once described as “piquant and ironic”. Ms Hunt performed extensively in the Chicago area with independent choreographers Sheldon B Smith, Amy Alt, Dardi McGinley and Ginger Farley, as well as performances with Dana Ruttenberg, Esse Afficianado and Shandoah Goldman while in NYC. During her career, she has been a member of Heather Harrington Dance Company, James Hall Performance Project, Mordine and Company Dance Theater, Akasha Dance Company, Charleston Ballet Theater and was a founding member of a collaborative dance company called Limbic Six from 1996 to 1999. When Jenna is not actively performing you may find her rock climbing, traveling the world, advising through astrology and feng shui or teaching creative movement to children. Kathleen Flynn Gavin has studied, choreographed and professionally performed many styles of dance. As an undergraduate at Rutgers, she double majored in Dance (BFA) and Journalism (B.A.). Her study in Pilates began with Kathy Grant in 2001 while completing her MFA in Dance at NYU, TischSchool of the Arts. 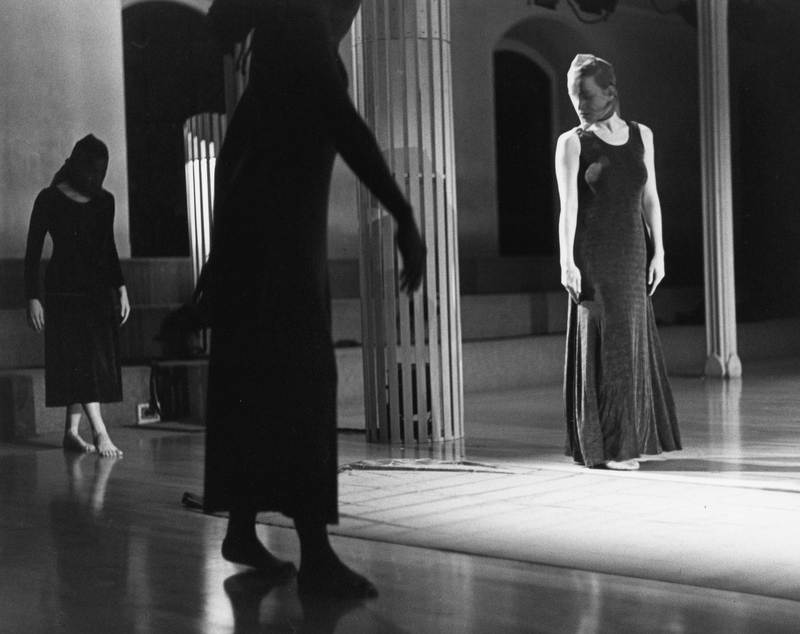 She studied on scholarship at the Nikolais/Louis Lab and at the Merce Cunningham Studio. She later received her Pilates mat certification from the Kane School in 2006 and completed her yoga teacher training at Yogaworks, NYC, in 2007. 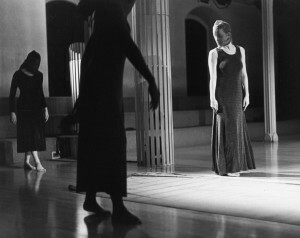 In 2010, she was awarded the SurdnaArts Teachers Fellowship which enabled her to attend the Aerial Dance Festival in Boulder, CO.
Kathleen has produced her own work in New York City at Context, (East Village) People in Your Neighborhood Festivals, Manhattan School of Music, the Stegman Gallery, and for Women Center Stage. She worked in arts administration positions at Ellen Jacobs Associates, the Guggenheim Museum, WNET/Channel 13 Dance in America, and The Village Voice(Dance Section). Her professional dance career was with Heather Harrington, Cleo Mack, Kun-Yang Lin, Pam Tanowitz and The Rude Mechanicals Theatre Company, among others. She has headed vocational dance high school programs in NJ for 10 years and was named “Teacher of the Year” (2011-2012) at the Union County Academy for Performing Arts. She taught for four summers in Switzerland, and has choreographed productions for the innovative theatre program at Urban Stages, NYC. She taught modern and jazz at The College of St. Elizabeth. This is her third year as a PTL at Mason Gross School of the Arts. She is also an instructor for the online division. His studies in movement, anatomy, kinesthetic awareness and bodywork began over 15 years ago at the start of an international dance career where he performed with Mark Morris Dance Group, The Erick Hawkins Dance Company and Canada’s Royal Winnipeg Ballet. In 2002, he retired from dancing professionally and moved to Ithaca to attend The Finger Lakes School of Massage. After graduation, he worked for Bodyworks. Dr. Adam D. Klotz graduated from the Mount Sinai School of Medicine in 1996. He works in New York, NY and specializes in Internal Medicine. Dr. Klotz is affiliated with Memorial Sloan Kettering Cancer Center, Bellevue Hospital Center, New York Presbyterian Hospital Columbia University Medical Center and New York Presbyterian Westchester Division. David Tankersly – Broadway: Xanadu. Tours: West Side Story (La Scala/world tour),Cabaret (Germany,Holland), My Fair Lady and Xanadu. Regional: 7 Brides, Cinderella, Beauty and the Beast, The Sound of Music, Grease,Evita, Mame, and the Radio City Christmas Spectacular (ice skater 2 yrs.) Two time national figure skating pairs champion of the U.S. Love and thanks to my brother, VIPs, and my agent Craig at Avalon Artists!